The occupancy rate in 2015 closed at 76.43% while the average from January through November 2016 indicates a rate of 77.27%; in 2015 there were 2,576,048 visitors, while the first 11 months of 2016 registered 2,623,701 tourists. 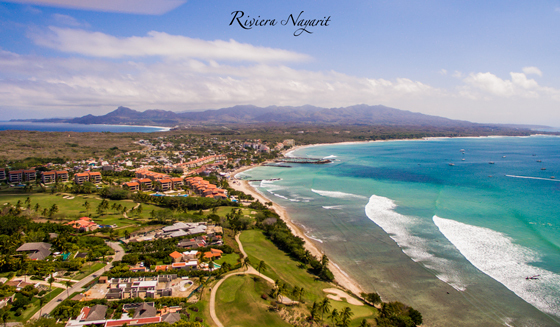 Excellent results keep popping up in the Riviera Nayarit as confirmed by the Riviera Nayarit Convention and Visitors Bureau’s (CVB) Barometer—some of the numbers obtained from January through November 2016 exceed those of the entire year of 2015. The occupancy rate in 2015 closed at 76.43%, while the average occupancy rate between the months of January through November 2016 came in at 77.27%, practically an entire percentage point above—for now. The trend was very similar regarding the number of visitors: in 2015 there were 2,576,048 visitors to the region, while during the first 11 months of 2016 there were 2,623,701 visitors registered; that’s an increase of 47,653 people over the year before, with December still to be added in. Room-nights in 2015 added up to 4,104,500; from January through November 2016 they added up to 3,927,435. If the numbers for 2015 seem higher at the moment, when we take into consideration that 250,300 room-nights are generated monthly, there’s no doubt 2016 will surpass last year’s numbers in that respect as well.